Have you ever dreamed of visiting a magical land with thousands of lights floating high above you but seemingly close enough that you could reach out and touch them? Well funny enough there is a place where you can do just that. I found myself in such a place in November of this year. It was Chiang Mai in Thailand and it was the festival of Yi Peng Floating Lanterns. It was magical! 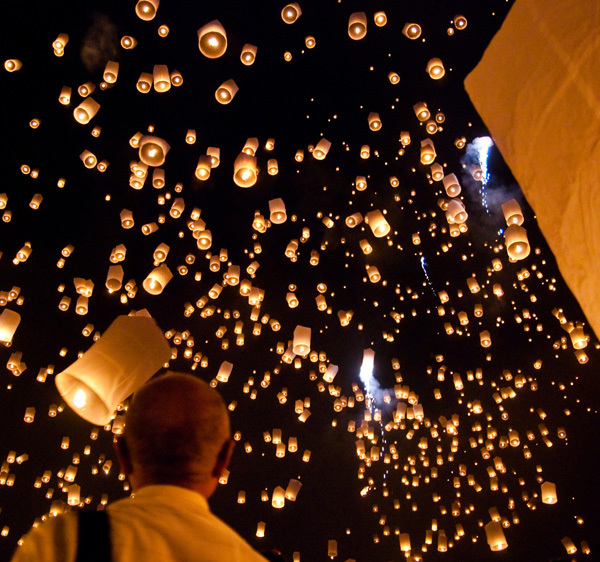 As the moon comes to its fullest point in the month of November of every year the residents of Chiang Mai build their best floats and release lanterns into the air to rid the city of troubles and curses. For me this festival was a once in a lifetime trip. I never had dreamed that I would ever make it to see this amazing festival but I found myself on the bank of the Mae Ping River and realized my dream had come true. Thailand is a gorgeous country to visit and the people are welcoming and friendly to all the tourists who make the journey to visit their home. The lantern festival is particularly popular with individuals like myself coming from all corners of the Earth to take part in the magic. Hundreds of locals assemble along the banks of the river to release their Krathong (or banana leafed pots) into the river to express their worship of the Goddess of Water. To truly experience the festival like the locals do, you have to arrive a few days before it starts. Tour the city to get the feel of what it is like to live in this ancient town. On the day of the festival is a good idea to arrive a couple hours early. Traffic can get ridiculous and people are constantly pushing and shoving to get the best seat in the house. Fortunately it really doesn’t matter where you sit as the heavens light up you can see the lanterns and the fireworks from virtually any vantage point. 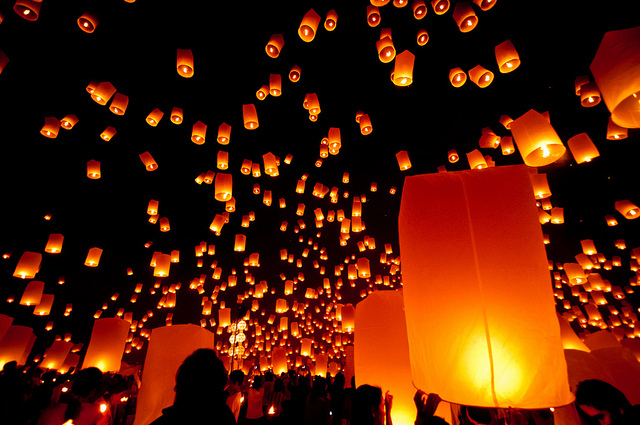 I recommend the Yi Peng Floating Lanterns festival to be on your bucket list because it is truly beautiful. 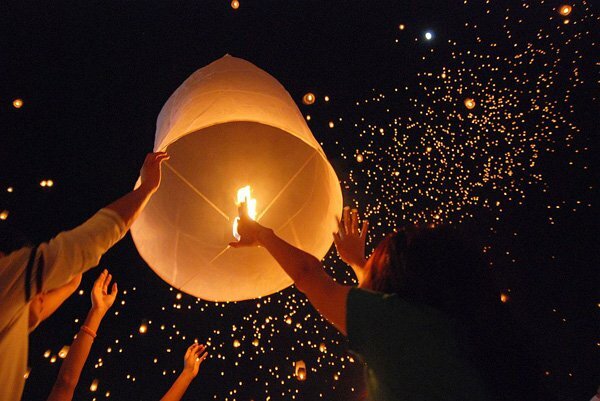 The excitement from the locals and fellow tourists is palatable and once all the lanterns are released and fireworks are set off it becomes a night you will never forget. Take my word for it and make this a bucket list place to go because it truly is an amazing place to see.